I invite you back into Texas's storied past to experience love and adventure against a backdrop of tension and mystery in this first book in a brand-new series. And, if you're curious about how this cover was developed, you might enjoy my blog about the process. Although most of my books are available in large print versions, sometimes the covers are changed. Be assured that even though the cover is different, the text is the same. 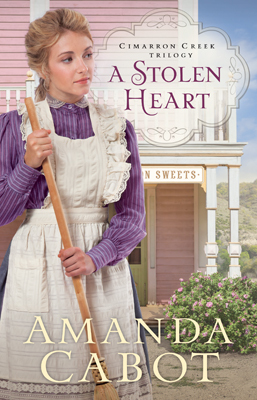 Also, if you enjoy hardcover books, I'm delighted to tell you that A Stolen Heart is available in a hardcover version with the original cover. This is ideal for libraries and for those of you who like to read books many times. 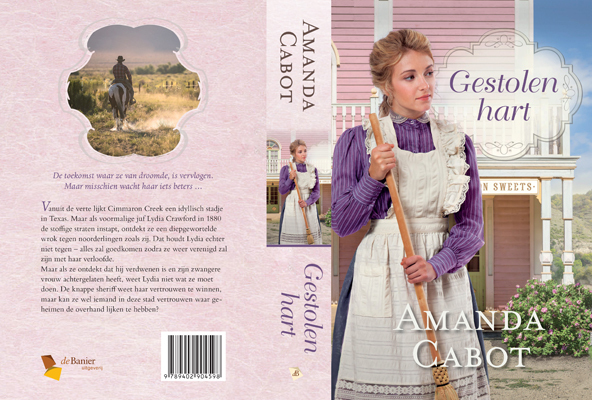 I was thrilled when I learned that A Stolen Heart was going to be translated into Dutch. Although I can't read a word of it, I enjoyed seeing the minor changes to the cover and knowing that readers in another country will have the opportunity to meet Lydia and Travis and the other residents of Cimarron Creek. Can you read the back cover copy? I can only guess what it says.